Aurangzeb Abbasi, Former Accounts Officer (1972-2013) passed away on 15th of April, 2019. The Principal, staff and students express their heartfelt condolence to the family of Mr Aurangzeb. He served Lawrence College for forty-one years with dedication and devotion. May Allah forgive him and grant him high rank in Jannah. Mr M Rashid Ahmad, Bursar LCGG (1956-1996) passed away on 12th of April, 2019. The Principal, staff and Gallians express their sincerest condolence to the bereaved family. He rendered forty long years meritoriously with spotless service to the institute with great devotion and zeal. May Allah bless his soul and grant him high rank in Jannah. Newness or novelty has been intriguing and fascinating the man since Neanderthal times. The year 2019 Welcome Party for the fresh entrants was organized on 28th of March. 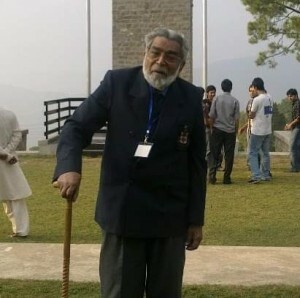 Principal Lawrence College, Brig Mujahid Alam (Retd) was the chief guest of the colourful gathering. All the faculty members of the Junior School participated in organization of the function. The highlights of the event included recitation and translation of the holy verses of Holy Quran, a welcome speech, a warm welcome performance for the new Gallians, exciting and fun oriented games which really amused the boys, poems and melodious songs by young stars, funny potato quotations with cute potato and kind witch. The newly admitted boys were presented friendship bands by their seniors and sweet and delicious goodies by the Principal. In his speech, the Principal assured all the new boys that they will be looked after by everyone around them and encouraged them to openly share all their problems with the staff which is there to look after them round the clock. He advised them to consider this place as their second home and make new friends. After Principal’s speech, all the worthy guests, respected faculty members and students proceeded to Prep School ground for tea. Class VIII, including the newly admitted students, was welcomed to the Senior School on 27th of March, 2019. The Principal, heads of the schools, faculty members of Senior School and prefects were present on the occasion. The ceremony started with recitation from the Holy Quran and translation by Talha Abbasi and Ehtisham Ali from Class VIII. The headboy, Oasaja Hassan Zaidi, in his welcome note, advised the boys to concentrate on studies and utilize their time in the best possible way. He assured them that they would be looked after and guided by them. He told them to have no worry about their stay at the College. Yahya Khalid and Sameer Ali from Class VIII shared their feelings about their experience of early days at the Senior School. They said that the teachers and seniors had warmly welcomed them to Senior School. The teachers were treating them as their sons and the seniors treated them as their younger brothers; that’s why they feel comfortable and are learning in a free environment. Addressing the young entrants of Class VIII, the Principal welcomed them to Senior School. He assured them that the Principal himself and everybody at Senior School is there to facilitate and guide them. He said that all of them are his sons and will be treated the same way. The students and faculty were served with a sumptuous tea on the occasion. On Tuesday, 26 March, 2019, Prep School welcomed the newcomers. The Principal Lawrence College graced the occasion as the chief guest. Mustafa Chaudhry of Class VII was the stage secretary. He was supported by three comperes for different segments of the ceremony and the whole event was conducted in a dignified way. Hamza Manzar of Class VI recited a few verses from the Holy Quran translated by Muneeb Haider of Class VI. Saad Shahzad of Class VII, in his welcome speech, formally welcomed all the newcomers. He, on behalf of the Principal and Prep School, assured the newcomers of his full support in academics, co-curricular and boarding-related activities. Ali Qadir of Class VII spoke on behalf of the newcomers. He promised, on behalf of the newcomers, to try their best to meet the standard of the College in academics and co-curricular activities. He also appreciated the buddy system which helps the new boys in settling in the hostel life. At this stage, three newly admitted students shared their initial experiences and views on different aspects of boarding life. Samiullah of Class VI disclosed his classroom experience followed by Irtaza Hussain of Class VI who appreciated the positive role of Sports Department. Muhammad Naziat Ali, from Class VI, shared his views on buddy system which helped him a lot to adjust himself in the new stream. The Principal, in his brief address, welcomed the newcomers with a hope that they would try their best to take active part in classroom and field activities. He appreciated the delivery, matter, style and confidence of the speakers and comperes. He also extended his sincere thanks to the Headmaster Prep School, members of the faculty and junior staff for arranging such a graceful function. It’s not the days in life we remember, rather the moments. Following the same spirit, in a simple but graceful ceremony, the Staff Club members said goodbye to Hafiz Zafar Hayat, Head of Islamic Studies Department, who got retired after serving the College in a dignified manner for about 21 years. Hafiz Zafar Hayat holds master’s degrees in Islamic Studies and Geology. Before joining Lawrence College, he taught for almost 13 years at Army Burn Hall College Abbottabad. During his distinguished career, he taught with great care, devotion and keenness. He was an eloquent multilingual orator and a profound scholar. His students respect and remember him for his scholarly discussions and deep insight into religious affairs. In his talk to the gathering on the occasion, Hafiz Zafar Hayat said that it was a wonderful experience for him to be a part of Lawrence College where he had a rewarding stay. He advised his colleagues to admire any good idea shared by others. The Principal, in his parting note, highly appreciated the commitment, honesty and uprightness shown by Hafiz Zafar Hayat. He conveyed his best wishes for the future life and family of Hafiz Zafar Hayat. It’s sad, but sometimes moving on with the rest of your life, starts with a goodbye. International Women’s Day is observed throughout the world to recognize the roles women are playing in every field of life. It aims at realising the need of care and affection towards the women in every society. A cheerful event was organised in this regard at LCGG on 8th March, 2019, for all the female staff including the junior staff and matrons as a token of appreciation to their valuable contribution. The ladies gathered over tea to celebrate Women’s Day and received chocolates and cards as a token to appreciate their sweet contribution in the upbringing of young Gallians. They shared their perspectives of womanhood and the significant part women play in society. The Principal, Brig Mujahid Alam (Retd) also shared his thoughts and how proud he felt was to see female staff performing effectively in steering the students and the College towards a positive direction. This is to inform you that due to severe weather conditions winter vacation is being extended for classes II – VII, IX, O-II & O-III. The students will report back on Sunday, 10th March, 2019. The tragic and sad news of the death of former science teacher Prep School, Syed Daud Bukhari left the students, staff and Principal deeply shocked and grieved. 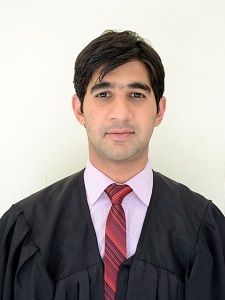 Daud Bukhari joined the Prep School of Lawrence College on 2nd July, 2015 and left on 15th August, 2017 for China for his PhD programme. He was a very talented teacher and an excellent human being. Though his stay at GG was short, but his students have a lot of fond memories about him and regard him as an outstanding teacher. The Principal, staff and students express their sincere concern and condolence to the family of Daud Bukhari. We pray for his forgiveness and high rank in Jannah. The English Speaking Union is an international charity which was founded on June 28, 1918 on the initiative of an international writer and journalist Sir Evelyn Wrench. During its long history, the ESU has played an important part in fostering cultural ties between public of different nationalities. Every Year, the English Speaking Union holds an international public speaking competition where bright young students of Pakistani origin participate at the national level and the winner student is sent to U.K. for participation in final round. The English Speaking Union Islamabad Chapter held the city round of this year’s speech contest in Islamabad on 11th February 2019 at Islamabad Model College for Women F 7/2. 17 participants from more than 12 institutions contested in the public speaking competition. Ussayed Shakeel Abbasi and Saad Sakhawat, Class XI, participated in the contest. Both the students delivered very good speeches. Ussayed Shakeel, speaking in a marvellous way, remained runner up in the contest and qualified for the national round to be held on 28th of February, 2019. We wish him the best of luck for the next round. Mr. Gul Muhammad Khan, old Gallian and life member of OGAP Karachi Chapter, passed away on 24th of January, 2019. Mr. Gul Muhammad joined Lawrence College in Class VI in 1935 in Dane House and left the College after Inter in 1941. He was the oldest and seniormost Gallian till his demise. Mr. Gul Muhammad Khan served in Pakistan Navy with great distinction and was highly respected by everyone. He looked after his extended family with great care and compassion and lived a very dignified life. The Principal, faculty and Gallians express their sincere condolence to the bereaved family and friends of Mr. Gul Muhammad Khan. May Allah bless his soul in eternal peace and grant him high rank in Jannah.